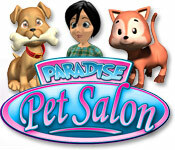 Paradise Pet Salon is rated 4.2 out of 5 by 17. Rated 5 out of 5 by amylmenke from Really like this game I've beaten this game twice now and one thing I like about it is that you can keep playing it even after you've beat it. It's kind of relaxing. You are trying to take over the bad pet grooming people's stores so you buy one and build it up and then make enough to buy the next and the next. You can choose when to buy the next one, you don't have to just buy it right away, which I liked. I learned to go way over how much money I needed to buy the next one so I could buy all the stations I need and upgrade them right from the start. It's not the most sophisticated game but it is very enjoyable. Rated 5 out of 5 by Mathygamma from A Solid Choice! This is a game for people, who are looking for quality without the biggest of challenges. 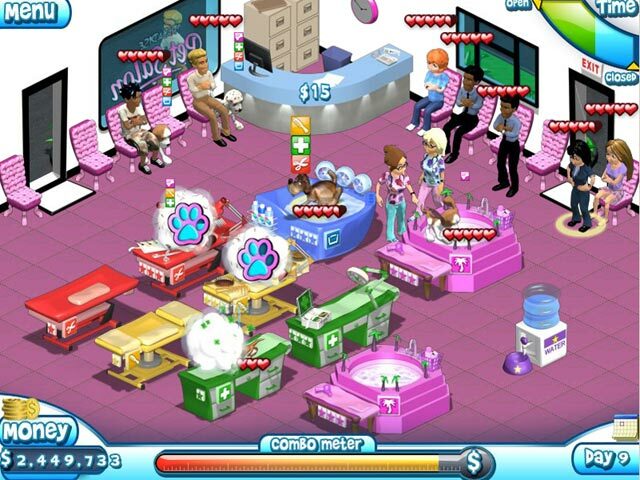 It has fun graphics, and you can customize each location. You will be able to play the game again and again! Rated 5 out of 5 by TheronKaluna from fun games! it is fun games. loved it so much. makes me feel alive!! Enjoying life by playing this game!! Rated 5 out of 5 by rosekaufmann from GREAT TIME MANAGEMENT GAME Very addictive and fun. Good colorful graphics - kids will love it (young and old). Plan which stations you will upgrade to satisfactorily serve your clientele. Play for hours and hours. I've had this game for a few years and never get tired playing it. Rated 5 out of 5 by JennieWren410 from Enjoyable! I don't know what makes this game different from the others. All I know is that I am highly addicted to it! I play it over and over! Rated 5 out of 5 by Kheyru from AMAZING! It's an amazing time management game!! I really enjoyed it !! Rated 5 out of 5 by tracstuff29 from tracstuff29 Love this game! I like a game where there is strategy with which upgrades I purchase in the game. One of my favorites! 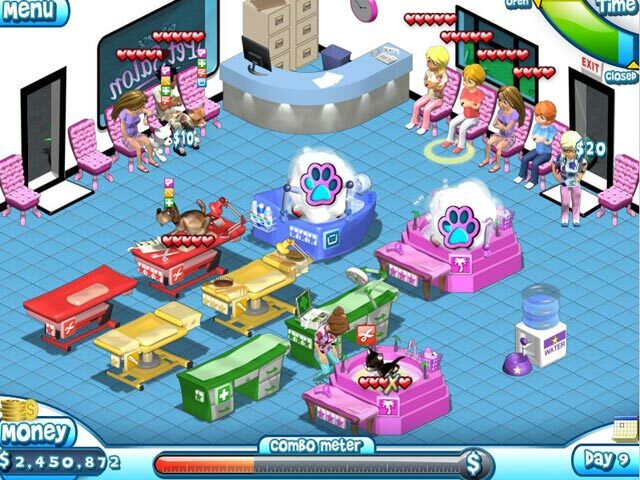 Rated 5 out of 5 by mel0917 from paradise pet salon awesome game & i like it a lots ya ya ya ya! Rated 5 out of 5 by Pucktweety from Amazing! If you a TM game that will keep you playing for hours on end then this it. There isn't many games on this site that you will as many hours of game play as this one! On top of the amount of time you get, it is a very fun game. Unlike most traditional TM games, this doesn't work in levels but instead in shops. You do go through each day and with each day comes more people and new challenges (but not in the terms of goals) but your goal is to make enough profit to buy the next shop up and when you get that far, you start over (or in my case sell everything from your old shop and start with a little advantage)! It takes absolutely ages to finally get to the end and once there, there is plenty of change for replay as you just need to go back into each shop and play more. I found that between reaching the top shop and 'defeating' the game then gaining enough profit to outfit all the shops into the higher they can go, it took me months of near daily play - it is that good! One quite harsh thing, much like Supermarket Mania, is that for the first level you have the 'best of the best' therefore it does seem a little slow to start because in the first level you where used to the best/fastest.